If you have ever bought or sold a house, you probably have dealt with a home inspection. If you are selling a home, having an inspection done before you list your home can help you avoid unpleasant surprises late in the selling process. And if you are a buyer, an inspection lets you know whether there are problems you need to be aware of – and possibly discuss with the seller – before you buy. Safety features. Inspectors check to make sure that smoke and carbon monoxide detectors are working and placed appropriately. They check for GFI (ground fault interrupter) outlets in kitchens and bathrooms. And they examine stairs to make sure that the risers are the same height and secure, and that handrails are present and set up correctly. Protection against wind and water. This involves looking at where the roof meets the house to be sure that it appears watertight, without evidence of excessive caulking, and that the gutters and downspouts are in good shape. Inspectors also walk the grounds to inspect the grading to see if water drains away from the house, and they check the foundation for cracking or other evidence of water damage or structural problems. Major systems. Inspectors check your heating and air conditioning system to make sure they are functioning and appropriate for the size of the house. They perform similar checks on the plumbing and electrical systems to see if the wiring and plumbing are installed and working correctly and can meet the needs of the house. For example, inspectors might suggest the installation of additional electrical outlets, especially in older homes. And they will let you know if it looks like any of the work was not done by professionals. Roof. They look at the roof to see if the shingles are in good shape and were professionally installed. They check the flashing around chimneys and skylights. And they should be able to give you an estimate of how soon the roof might need to be replaced. Venting and water heater. 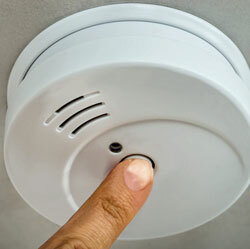 Inspectors make sure that gas appliances such as dryers, water heaters, etc. are properly vented. They also check the temperature setting on the water header to ensure that it does not pose a scalding risk. Issues for a specialist. Most inspectors are generalists, so they let you know when you need to consult a specialist. For example, fireplaces or woodstoves often require the attention of a specialist to examine your firebox and chimney with a special video scope. Similarly, especially if you have or are buying an older home, it is a good idea to have an expert use a video scope to examine your sewer lines. Generally, sewer lines that are under your property – such as those that go from your house to the main city line – are your responsibility, and replacing them can be a major expense.